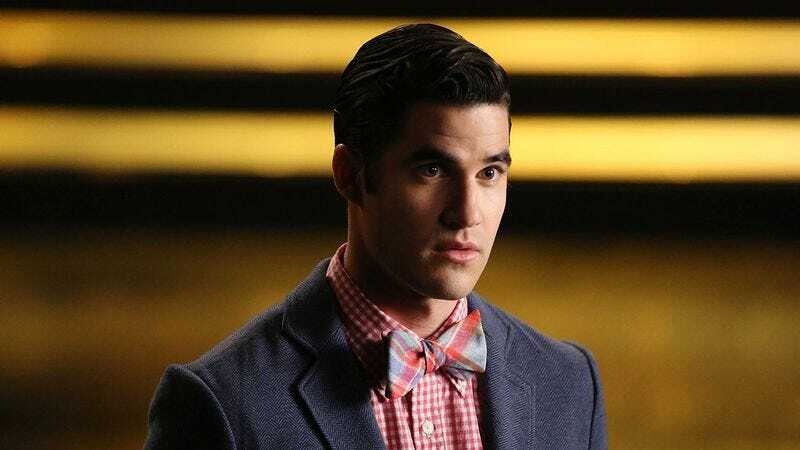 Glee’s Darren Criss to star in emphatically named rom-com Smitten! Coming up with a name for a movie can be tough. If it’s a horror movie, you might want something understated like Halloween or Paranormal Activity, because that implies that the scary scenes it contains are real and could happen to anyone. If it’s a comedy, you want something wacky with “balls” in the title, like Spaceballs or National Lampoon’s Balls Goes To College, because a movie has to be hysterical if its title is that funny. Romantic comedies are trickier, though. You don’t want to put “balls” in the title, because that detracts from the romance. Instead, you want to lean on love-related words, like Love Actually, A Lot Like Love, and Herbie The Love Bug. THR also notes that Glee’s Darren Criss will be starring in Smitten!, which is about a “young American fashion executive” who gets kidnapped by “three bumbling members of the mafia” and taken to a hideout in the mountains. Clearly, nothing about the premise makes it sound like this movie is about love, which is why Smitten! is such a great title. You don’t know who will become Smitten!, you don’t know when they’ll become Smitten!, but you know that someone will be Smitten! with someone else by the time the credits roll. Smitten! will also star Madalina Ghenea and Angela Molina, both of whom may also become Smitten! during the film.